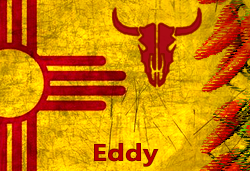 Looking for a job in Eddy County New Mexico? This Eddy County New Mexico job guide is a resource for job seekers looking for legitimate employment opportunities in the region with an emphasis on government positions, top healthcare employers, public school careers, and major job boards. Constructors, Inc. is a highly diversified and flexible construction company. Constructors, Inc. is currently taking applications for experienced equipment operators, asphalt workers and construction foremen and supervisors. They offer a wide variety of benefits including 401k, medical reimbursement, paid vacation, and six paid holidays. Devon Energy Corporation is a leading independent oil and natural gas exploration and production company. During this survey there were open positions found for Automation Operator, Measurement Operator, Optimization Operator, Lease Operator, Master Data Maintainer, Maintenance Operator, Field Construction Facilities Engineer, One Call Operator, Asset Integrity Operator, and Chemical Technician. The U.S. Department of Energy's (DOE) Waste Isolation Pilot Plant (WIPP) is a deep geologic repository for permanent disposal of a specific type of waste that is the byproduct of the nation's nuclear defense program. The WIPP team is comprised of multiple organizations with varied methods of applying for posted positions. Information for various organizations are provided on their careers page. Intrepid operates three solar evaporation mines in Wendover and Moab, Utah and Carlsbad, New Mexico. Solar evaporation ponds provide one of the safest, lowest cost, environmentally friendly production methods for potash and salt. Mosaic is the largest producer of potash and phosphate fertilizers in the world. During review there were open positions for Co-op Student Engineer, Environmental Engineer, and Chemist Technician. Concho Resources is an independent oil and natural gas company engaged in the acquisition, development, exploration and production of oil and natural gas properties. Open positions found included Accounting Clerk, Assistant Construction Foreman, Lease Operator, Lease Operator, and Electrician. Eddy County is a good resource for browsing ongoing employment opportunities. During review there were open positions available that included Sheriff's Office Deputy Sheriff II (Certified), Voting Machine Technician, Public Safety Telecommunicator, Light Equipment Operator-Roll Off, Heavy Equipment Operator, Detention Nurse, Detention Nurse PRN, Deputy Sheriff (Non-Certified), Public Safety Answering Point Chief Information Officer, Public Safety Answering Point Information Technology Specialist, and Detention Officer. Visit the county jobs page frequently for updates. The City of Carlsbad was hiring. Open positions found had included Police Officer, Animal Control Officer, and School Crossing Guard. Visit the city jobs portal for current listings. The City of Artesia appeared to have a number of open positions available to include Administrative Assistant, Community Service Officer, Equipment Operator - Streets, Firefighter EMT, Humane Officer, IT Tech City Hall, Mechanic, Police Officer Corporal Police Department, Public Safety Telecommunicator I, Public Safety Telecommunicator II, Parks Supervisor, Wastewater Assistant, Wastewater Lead Operator, and Wastewater Operator. Carlsbad Medical Center is a 115-bed community healthcare provider with inpatient, outpatient, diagnostic, medical, surgical and emergency services. Career opportunities found during this survey included Cardiac Cath Lab Director, Chief Financial Officer CFO, Clinic Manager, ED Ward Clerk, ED/PBX Patient Access Representative, Float Receptionist, FT Float Certified Medical Assistant, Licensed Practical Nurse LPN, OP Coder, OTR, Patient Access Representative, Phlebotomist PRN, Physical Therapist, PRN Medical Technologist, PRN Staff Radiographer, PT Labor and Delivery RN, Registered Nurse L & D, PV Medical Assistant Certified, PV Urgent Care Receptionist, PVIM Receptionist, Registered Nurse PRN, Registered Nurse TCU, Registered Nurse RN ICU, RN TCU, Same Day Surgery RN, Staff CT Technologist, Staff Radiographer, Surgical Scrub Tech, and Telemetry Tech. Artesia General Hospital is a 49-bed, non-profit facility serving Artesia and Southeastern New Mexico. A review of current employment listings had included Licensed Practical Nurse LPN, Medical Assistant Behavioral Health, Registered Nurse RN Behavioral Health Unit, PRN Nursing Jobs, Patient Account Representative, ER Tech, ER Tech LPN, Registered Nurse RN Emergency Room, Environmental Services Jobs, Environmental Services EVS Tech, Janitorial Tech, PRN Janitorial Jobs, Certified Medical Assistant (CMA), Certified Medical Assistant CMA, Lead-Clinic Office Nurse, Certified Nursing Assistant CNA, Nurse Medical Surgical, ICU Nursing Jobs, Charge Nurse Med Surg ICU, Registered Nurse RN Med Surg ICU, Medical Coder, Medical Records Jobs, Psychiatric Nursing Jobs, Referrals Clerk, Receptionist, Patient Account Representative, Quality Coordinator, Radiology Tech, Psychiatric Nurse RN, Certified Surgical Tech, Endoscopy Tech, and Pre-Admission Testing Nurse. Lakeview Christian Home provides Senior care and independant living. Job openings included Charge Nurse RN, Charge Nurse LPN, Minimum Data Set Coordinator, and Nurse Assistant. Good Life Senior Living and Memory Care periodically hires caregivers. San Pedro Nursing and Rehabilitation Center provides short-term and long-term nursing care. Check their employment page for information about potential opportunities. Encompass Home Health & Hospice advertises employment listings in Artesia and Carlsbad. Open positions may include jobs such as Hospice RN Case Manager, Hospice Registered Nurse Practitioner, Hospice RN Case Manager, Hospice Nursing Aide Full Time, Home Health Registered Nurse PRN Artesia, Home Health Occupational Therapist (OT) PRN, Home Health LPN Full Time Artesia Area, Patient Services Scheduler, Hospice Licensed Master Social Worker (LMSW), Hospice Registered Dietitian PRN, Home Health Physical Therapy Assistant (PTA) PRN, and Home Health Speech Language Pathologist (SLP) PRN. Carlsbad Municipal Schools had a number of open positions on this review date. Employment listings found included Assistant Principal, Bilingual Education Teacher, CDL Drivers (Bus Drivers), Diagnostician, Language Arts Teacher, Procurement Officer, Sign Language Interpreter (Instructional Assistant), Speech Language Pathologist, Substitute for Teachers, Substitute for Custodians, Substitute for Secretary, Substitute for Nurse Assistant, and Substitute for Food Service. Artesia Public School District is comprised of 10 schools. During this survey there were open positions available for DD Preschool Instructional Assistant, School Custodian, Auto Mechanics Teacher, Activity Bus Drivers, and Substitute Cafeteria Assistants & Substitute Custodians. New Mexico State University Carlsbad hires faculty and support staff. During review there were openings for Facilities Tech and Custodial Worker. Check for new listings. Carlsbad New Mexico Economic Development is a good resource for identifying staffing organizations, area employers contacts, and instructions for submitting your resume for distribution within their network of Eddy County businesses. The Carlsbad Current-Argus Classifieds Jobs section is a good resource to monitor for ongoing employment opportunities. The Craigslist Carlsbad Jobs page is a good resource to browse a variety of listings. The Bureau of Indian Affairs may periodically hire for various positions in the Eddy region. This Worklooker Alamogordo | Otero County directory includes featured employers such as Inn of the Mountain Gods Jobs, Lowe's Home Improvement Jobs Alamogordo, White Sands Mall Retail Jobs, First National Bank Alamogordo, Burkes Alamogordo, Otero County Job Openings, White Sands Missile Range Jobs, Holloman Air Force Base Jobs, Gerald Champion Regional Medical Center Jobs, Casa Arena Blanca Nursing Center Jobs, Mescalero Indian Hospital, Alamogordo Public Schools Employment, Tularosa Municipal Schools Employment, Cloudcroft Municipal Schools Employment, Alamogordo Daily News Classifieds Jobs, USAF NAF Jobs, Alamogordo Chamber of Commerce, and more. This Worklooker Hobbs | Lea County directory includes featured employers such as Zia Racetrack & Black Gold Casino, Lea County Correctional Facility, Albertson's Market Hobbs, Walmart Supercenter Jobs, Pettigrew & Associates Jobs, Lea County Job Openings, City of Hobbs Jobs, City of Jal Jobs, City of Lovington Jobs, Nor-Lea Hospital, Lea Regional Medical Center, Good Samaritan Society Jobs, SavaSeniorCare Jobs, Miracle Home Health Care, Hobbs Municipal Schools Employment, University of the Southwest Employment, New Mexico Junior College Employment, Hobbs Chamber of Commerce | Hobbs Jobs, Lovington Chamber of Commerce | Job Search, Hobbs Staffing Agencies, and more.